This chapter provides a general introduction to the new learners in the field of the synthesis and characterization of nanoparticles. The people who are familiar with this field but are unable to interpret the data will learn how to interpret from various data available. Keeping in the mind the usefulness of numerical data, this chapter includes a number of tables and graphs for the help and easy understanding of the students. 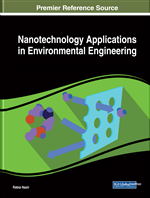 Nanotechnology is an emerging interdisciplinary area with wide application in all fields of science and technology. The basic of nanotechnology lies with the fact that with decrease in the particle size to nanometer range the properties of the materials changes noticeably (Joshi et al., 2008). But measuring the particle size is not a very easy task and they are posing challenges to the scientists working in this field. Thus, the discovery of various sophisticated nano characterization techniques has helped in better control of the size, morphology of the materials in nano range. There are various characterization techniques; some of them are surface area analyzer, characterization by spectroscopy, characterization by X-Ray, characterization by microscopy, thermal analyzer and magnetic property analyzer.